Some may say political affairs is anathema to Rastafari, but international reggae superstar, Coco Tea, begs to differ. In fact, the respected thirty some years doyen of Reggae’s lovers rock variety, not only says this with a fervour that belies his easy-going demeanor; he is investing big money and a bulk of his time into proving why politics and his religion must co-exist to engine the changes essential to a global healing. Coco Tea, who holds reggae pioneers, Bob Marley and Dennis Brown in the highest esteem, stepped into socio-political waters before. Not so long ago, his opinion-charged commentary renouncing the grounds upon which the Gulf War was justified, led to censorship of two of his tunes in Jamaica and the United Kingdom. The lyrics to “Oil Ting” and “No Blood for Oil” were declared unfit for air-play at the height of the warfare. Today, the 49 year old performer is endorsing US Democratic Presidential candidate, Barack Obama, with a portion of his latest album dedicated to the Illinois Senator, and a single, titled, Barack Obama, that salutes the candidate’s change campaign. What “enthused” the singer the most to join Oprah Winfrey, Scarlett Johansson, Chris Rock, and other noted opinion leaders to skew his support in Obama’s direction rests heavily on the presidential campaigner’s success in invoking the interest of the youth. “Young people, university students are energized and rallying around him…he must have something special because the younger generation is not normally so interested in politics…,” he conveys, with a hint of amazement. He may be on to something. In his Wisconsin speech, subsequently made famous by William of the group, Black Eye Peas, Obama repudiates the ways in which the Washington old boys “assume” the young voter is “apathetic” and therefore exclude their input from policy with direct repercussions for this critical citizenry. Also of importance to Coco Tea, whose birth name is Calvin Scott, is Barack Obama’s agenda that promulgates a different approach to the war on terror. “He is articulating the need for reasoning and encouraging dialogue with other countries… He is trying to achieve amicable solutions through this type of reasoning,” he states. 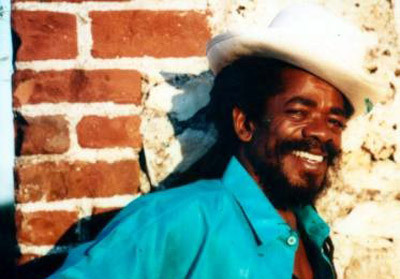 Dubbed, Barack Obama, the album is now the second Caribbean, musical tribute to the charismatic Democratic front-runner, after that of Trinidadian calypso king, The Mighty Sparrow. The singer, on his road to reggae stardom, tested his career success as a racehorse jockey and fisherman, before he ascended to fame in the 1980s with hit single Rocking Dolly. His most celebrated socially-provocative commentary, Rikers Island, is still a staple on top playlists world-over. He says the remainder of the Obama album is populated by his signature, lovers rock melodies. “I am one of those musicians who have never written lyrics with pen and paper….I have the uncanny ability to make a song from any situation by going into the studio with a melody,” he shares. “I knew I had to make a song about Obama,” he adds. Coco Tea has not received any feedback from the Obama camp but hopes to perform tracks from the album at the Democratic Convention later this year. “The kind of overwhelming attention that the song is getting shows the potential of reggae when it gets the exposure,” he cites.